EDS solved over 20,000 drain problems in London last year. Cost effective and quick. 60 minute response time, 365 days a year. A blocked drain is not only unpleasant, it can also result in a health hazard if ignored. But at Express Drainage Solutions, we provide a drain unblocking service that’s second-to-none. We’ll get to the bottom of the issue, carrying out drain clearance with a range of techniques, including high pressure drain jetting. 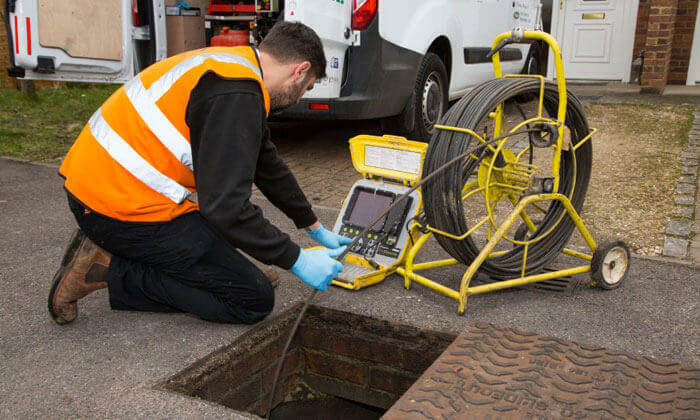 If our engineer is of the opinion that the drain is structurally defective, a CCTV drain survey will be undertaken to establish the true condition of the drain at the point of defect. We can then offer a reliable repair service to fix the problem and ensure a similar situation doesn’t arise again.